Chris Claremont weaves complex plots and compelling characterization in the conclusion of Carol Danvers' original adventures! As Ms. Marvel, Carol meets the Avengers for the first time! The shape-shifting Mystique makes her debut! A battle with Ronan the Accuser brings Carol and Mar-Vell together - and leads to a new look for our heroine! Encounters with Deathbird, the Guardians of the Galaxy and Sabretooth set the stage for a controversial Avengers saga and a life-altering battle against Mystique and Rogue, culminating in a major Marvel milestone featuring the X-Men and Avengers! Plus: Carol battles the Brotherhood of Evil Mutants - and mourns the passing of Mar-Vell! 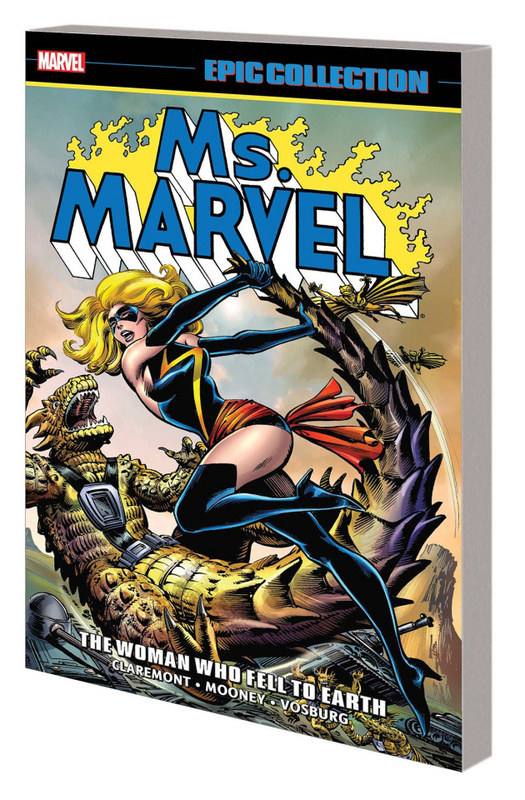 Collecting MS. MARVEL (1977) #15-23, MARVEL TEAM-UP (1972) #76-77, MARVEL TWO-IN-ONE (1974) #51, AVENGERS (1963) #200 and ANNUAL #10; and material from MARVEL SUPER-HEROES (1990) #10-11, AVENGERS (1963) #197-199 and MARVEL FANFARE (1982) #24.